„Portrait Me“ is a collaboration between Laura Alvarado and Vivian Meller. A multimedia project, that combines three different disciplines such as photography, jewellery and video. A series of broches and medaillons inspired by antique cameos result of using modern techniques like laserscanning and rapid prototyping as an artistic creation tool. For Laura Alvarado and Vivian Meller it is important to use these new media in an uncommon and extraordinary way. Therefore the objects often achieve a scetchy character where one can still recognise the creation process in the material. Modern historic stereotypes are created with the help of paper and simple materials. 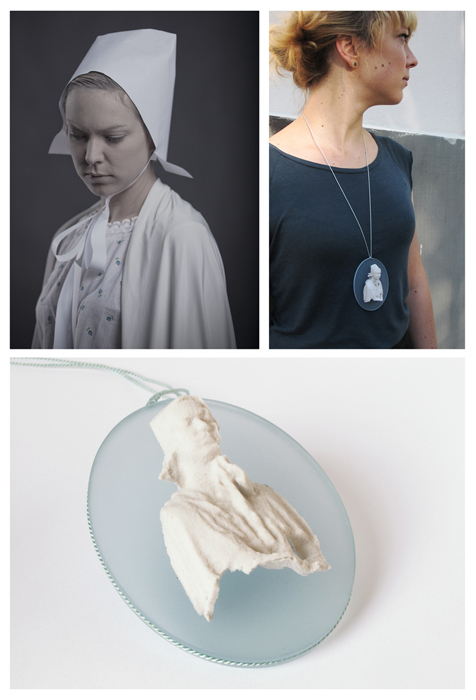 Each person is first portrayed in its costume and afterwards digitised with the help of a 3D-Laserscanner and then Z-printed and made to art jewellery pieces. 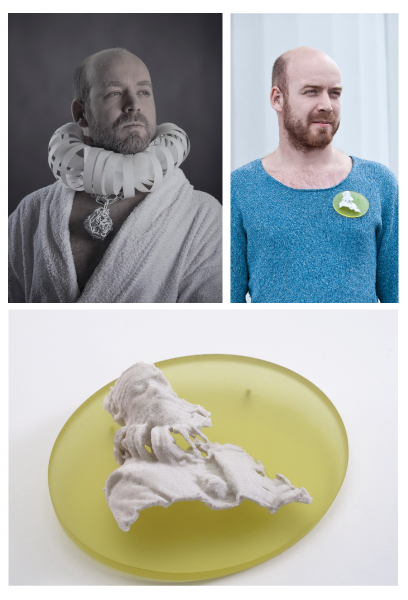 Personal portraits arise – antique jewellery from the future! This project was launched at the SIERAAD International Art Fair 2011 as one of the three special projects within the exhibition.